Register for the August FSPCA Preventive Controls for Human Food Industry Training - Early Bird Ends July 1st! Early Bird Discount Ends July 1st! 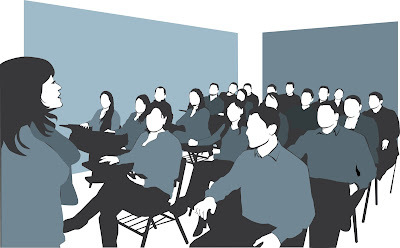 1-4 Attendees - Early Bird Ends July 1st- Save $60 per attendee – $1,035.00 (USD) Registration is for 1 attendee, addtional guests/attendess can be added during the registration process. 5+ Attendees - Early Bird Ends July 1st - Save $110 per attendee – $985.00 (USD) Early Bird discount for 5+ only available for attendees from same company. How ready is your company for FSMA compliance? 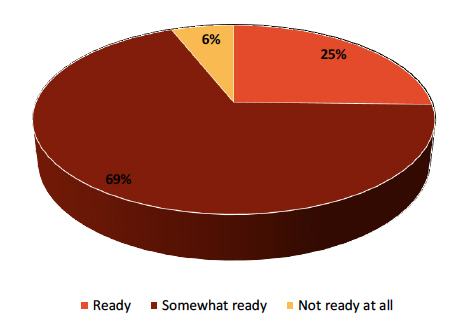 69% are somewhat ready, 25% are ready, and 6% are not ready at all, according to a recent survey. Many companies need to prepare for FSMA compliance by September, yet three out of four only consider themselves “somewhat ready”, according to a recent survey of about 400 food companies. However, the findings generally indicate that companies are taking action now to be FSMA ready—they just might need some help along the way. Sponsored by SafetyChain Software and The Acheson Group, “2016 FSMA Readiness & Compliance Strategy” surveyed mainly U.S. companies (88% with more than $1 million in revenue) that produce and manufacture food for human consumption. An effective food safety plan is a fundamental part of FSMA compliance. The majority of participants (80%) are either currently updating their food safety plans or plan on doing so this year. Conducting a gap analysis is a common way to assess the effectiveness of a food safety plan: 84% of respondents plan to conduct a gap analysis, have one in progress, or have already completed the exercise. More than half of these companies are tackling it using internal resources, and 29% are seeking expertise outside their organization. Documentation plays a large role in meeting FSMA requirements, and in the event of an audit, companies must be able to produce records within 24 hours. The good news is that 76% of companies say they can retrieve records required by FDA within this time span, but 22% are still unsure. Half of the organizations anticipate being audit ready on day one of FSMA enactment. And despite a push to migrate to electronic documentation, most of the companies surveyed (84%) still keep both paper and electronic records; only 3% keep strictly electronic documents. Companies indicate that they’re using technology to aid in FSMA compliance. The survey authors concluded that companies still need more information on how they can meet FSMA requirements, what resources are available, and how certain systems can help. In addition, they indicated that corporate executives must play a larger role in implementing compliance. 1. 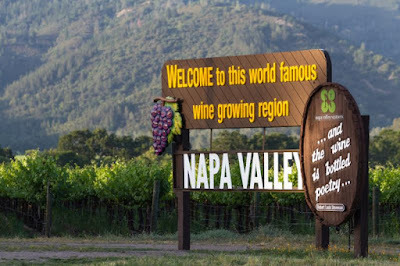 Napa Valley was California's first American Viticulture Area (AVA), established in 1881. 2. Winemaking history began in Napa Valley in 1838, when George Calvert Yount, founder of the town of Yountville, planted the first commercial vineyards in the valley. 3. Napa Valley is one of the most renowned winemaking regions in the world, but it is also one of the smallest. The valley floor spans across five miles at its widest point and 30 miles at its longest point. 4. Additionally, Napa Valley produces only 4% of California wine and just .04% of the world's total wine. 5. Wineries and vineyards in Napa Valley are rich with history and family traditions. 95% of Napa Valley Vintner member wineries are family owned. 6. 36 wineries in Napa Valley are certified Napa Green (including Peju) and dozens more are on their way to earning certification. 4.5 million cases of wine are produced annually by Napa Green Wineries. 7. Cabernet Sauvignon is king in Napa Valley and accounts for 40 percent of the overall Napa Valley wine grape harvest each year. Thank you for that kind introduction. And thank you to the Consumer Federation of America and organizers of the National Food Policy Conference for inviting me to speak to you today. I am honored to be here. This audience is full of consumer advocates, representatives of the food industry, nutritionists and government regulators, many of whom are experts on food safety and related issues. I would not presume to teach you about food safety. To the contrary, I hope to learn much from you. You are the people who have dedicated your careers to bringing safe and healthy food to consumers across the country and around the world. You are the people who ensure that we have confidence in what we eat – that the food that we feed our families and that our children receive at school will not cause them harm. But I hope my presence here is recognition of the important role that the Justice Department can play in helping those of you in this room ensure the safety of the food supply. That’s what I want to talk about today – the Justice Department’s role and, more specifically, the various enforcement tools that we have at our disposal. I appreciate the opportunity to speak with you because I think engagement and dialogue between all of the stakeholders here – between government, industry and consumer advocates – is vitally important to bridging the gaps between our worlds and protecting American consumers. I believe that we at the Justice Department can be more successful in our role if you on the front lines understand what we do and how we can contribute to your mission. For the Department of Justice – and for the Civil Division, which I am proud to be a part of – protecting Americans is at the core of our work. Sometimes that means combating terrorism or cybercrime or violent gangs. Sometimes it means preserving our financial security by fighting fraud. Sometimes it means ensuring the safety of the products that Americans use every day to keep themselves healthy – drugs, medical devices and dietary supplements. Our food safety work is fundamental to our consumer protection mission, because no product plays a more vital role in the lives of every single American. That is why we take food safety no less seriously than any of the other risks that face the American people and why it has been the subject of much of our work during my time in the Civil Division. I don’t need to tell the people in this room that one of the challenges the food industry faces is that it can be hard for consumers to protect themselves and their families from unsafe food. We can and should take steps to protect ourselves while driving or riding our bikes. We can and should consult a doctor before taking drugs or dietary supplements. We can even protect ourselves from many kinds of fraud against consumers. But when it comes to food safety, we have to rely on the companies who manufacture and distribute food to ensure that the food we buy is safe. In fact, most consumers give little thought to the safety of their food. I know I don’t and I bet many of you don’t either. We simply don’t expect to get sick from the food at our favorite restaurant, or from the peanut butter or the eggs or the cantaloupes or the countless other products that we buy at the supermarket. That is why food safety is a priority for the Justice Department. Our role in protecting consumer safety is at its apex when consumers can least protect themselves. There’s no question that the overwhelming majority of food produced and consumed in the United States is safe. America’s incidence of foodborne illness is below the average in other developed countries and it continues to drop. Americans can be confident in the quality of the food that they buy and eat every day. That said, foodborne illness still imposes a significant public health burden on the American people. About 48 million Americans, or one out of every six people, get sick each year from food. For many of those people, the problem isn’t just a stomach ache. It can cause life-long chronic diseases, like arthritis and kidney failure. The Centers for Disease Control and Prevention (CDC) estimate that 3,000 people die each year from foodborne illness and 128,000 people are hospitalized. One of the government’s highest obligations is to protect citizens when they cannot protect themselves. 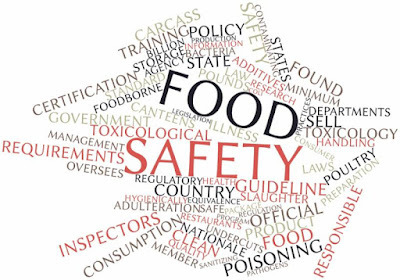 That is what the Food, Drug and Cosmetic Act (FDCA) and other food safety laws are designed to do. That is why the CDC, the Food and Drug Administration, and the Department of Agriculture (USDA) continue to do groundbreaking work to identify the causes that contribute to foodborne illness and to promote conditions that minimize them. And it is why the Justice Department works closely with our federal agency partners to ensure that our enforcement efforts are making a positive difference to food safety and quality. We rely on their technical expertise, their investigative support and their deep knowledge of the industries they regulate as keys to building cases. Against that backdrop, I want to describe some of the enforcement tools that the Justice Department uses to help ensure the safety of the food supply. And I want to focus on the FDCA. Many of the laws we enforce are laws of general applicability – in other words, they govern conduct in all industries, not just the food industry. The laws prohibiting mail and wire fraud, for instance, apply to every industry and we use those tools to protect food safety in appropriate cases. For example, in the Peanut Corporation of America case, which I will say more about in a little bit, the jury found the defendants guilty not just of FDCA violations, but also of conspiracy, mail fraud, wire fraud and obstruction of justice. But the FDCA is a special tool designed to address the unique interests at stake in the production of food and medicine. It provides for criminal penalties and civil relief against those who introduce adulterated foods into interstate commerce. Under the FDCA, a food is considered adulterated if, among other things, it is contaminated with a substance that may make someone sick or if it was prepared, packed, or held under unsanitary conditions. So when the Justice Department – in concert with our FDA colleagues – decides to bring a food safety case under the FDCA, one of the decisions that we have to make is whether to use our civil authority or our criminal authority. This decision is based primarily on our answer to two questions: First, what do the facts and evidence show? And second, which enforcement tool is most appropriate in that particular case to ensure the safety of our food supply? Let me start with our civil enforcement authority. Although criminal prosecutions get most of the headlines and can be an effective way to deter illegal conduct, our enforcement actions often take the form of civil cases, designed to prevent the distribution of adulterated food in the first place. These civil enforcement actions are a critical tool for protecting the health and safety of American consumers. When we see evidence of unlawful practices or conditions – usually brought to our attention by a partner agency – we may ask a court to order the seizure of potentially unsafe products or to temporarily prevent a facility from operating until sanitary conditions are established. In these cases, we routinely seek measures that require companies to institute new health and safety procedures, including independent monitoring programs. Often, rather than asking a court to impose requirements, we are able to resolve these actions through a negotiated agreement that promotes a safe production environment. To give an example of a litigated matter, we brought suit in New York after FDA inspections found that a Brooklyn fish processor was consistently missing steps necessary to prevent listeria contamination. A court barred the processor from operating its facility until an independent laboratory and an independent sanitation expert develop a satisfactory Listeria Monitoring Program and until the processor establishes that it will fully comply with that program on an ongoing basis. The facility cannot begin operating again until the processor has cleaned and sanitized it, and until laboratory testing has confirmed that the listeria bacteria are no longer present. We often use our civil enforcement authority in cases involving unsanitary conditions. As you might imagine, these cases do not involve the most pleasant facts. Sometimes they’re downright disgusting. For instance, we recently obtained an injunction against a California-based manufacturer and distributor of soy products that had a history of processing foods under unsanitary conditions. During the most recent FDA inspection, investigators found a host of violations, including live and dead cockroaches and rodent activity where the food was produced and stored. You’ll be relieved to hear that the production facility is now closed and cannot reopen without FDA approval. Finally, we have had success with civil enforcement in cases involving the administration of drugs – and antibiotics in particular – to animals intended for human consumption. To take one example, we recently obtained a consent decree against a dairy farm in Vermont that was selling livestock for slaughter and human consumption even though unsafe drug residues were present in the meat. This type of behavior not only poses a health risk to those who consume the meat, but specifically with respect to antibiotics, it jeopardizes broader public health by giving rise to antibiotic resistant bacteria. In this particular case, the defendants are now subject to heightened FDA oversight and they cannot operate until they implement certain safeguards and the FDA confirms that they have come into compliance with the law. These cases are illustrative of our wide-ranging civil enforcement practice. In each case, our top priority is safety. We seek to ensure that a facility that has produced adulterated food in the past cannot distribute such food going forward until the government can verify that the defendant has taken all of the steps necessary to prevent a recurrence. And even if we resolve a case with a negotiated agreement, any such agreement is then submitted to a court for entry of a permanent injunction, so that we can seek additional enforcement if there is a violation of the agreement. Now, the civil remedies available under the FDCA are important and civil cases make up the majority of the food safety actions we bring. But sometimes it’s important that we hold criminally accountable those individuals and entities that place consumers at risk by putting unsafe food on our table and in our lunchboxes. That way we make clear to people in the industry that they have a responsibility to protect the safety of the public. In deciding whether to use our civil or our criminal enforcement tools, the Justice Department follows the same set of guidelines that apply to every criminal prosecution. Among other things, prosecutors evaluate the nature and seriousness of the offense, the deterrent effect of the prosecution and the culpability of the individuals or entities involved. When we decide that criminal prosecution under the FDCA is warranted, we then choose between two types of criminal charges: misdemeanor and felony. Congress has made the prohibition on introducing adulterated food into interstate commerce a strict liability offense, meaning that a company or individual violates the law and can face misdemeanor charges whether or not it intended to distribute adulterated food. So, for example, the department brought charges under the FDCA against the owners of a cantaloupe distributor in Colorado. When the distributor decided to install a new system for washing their cantaloupes, they adopted a system that was meant for washing potatoes and elected not to use a chlorine spray to kill certain bacteria. Their decision caused an outbreak of Listeria that resulted in the deaths of 33 people. The defendants pled guilty to misdemeanor charges and were sentenced to probation, six months of home detention, and a fine. Similarly, we recently entered a plea agreement with a company that distributed cheese that was connected to a Listeria outbreak that infected at least eight people, including three newborns. The company pleaded guilty to a misdemeanor violation of the FDCA. We also obtained civil relief in that case against the two principals of the company, which required them to stop producing cheese until they were in compliance with the provisions of the permanent injunction entered by the court. Make no mistake: misdemeanor violations can mean serious penalties. In 2014, we entered a plea agreements with an Iowa egg production company, its owner, and its CEO. The company had produced and distributed adulterated eggs that led to a nationwide salmonella outbreak, which caused almost 2,000 reported illnesses. The company’s personnel had disregarded food safety standards and practices and misled major customers about the company’s food safety practices. The company pleaded guilty to both misdemeanor and felony violations of the FDCA and to bribery of a public official, was ordered to pay a $6.79 million fine and received three years of probation. And the owner and CEO each pleaded guilty to a misdemeanor violation of the FDCA and were sentenced to three months in prison, one year of supervised release and a $100,000 fine. In some cases, the facts are so egregious that it is appropriate for the Justice Department to bring the full force of the law to bear. When we can show an intent to defraud or to mislead consumers or the FDA, a defendant can face felony charges. Many of you are probably aware of the criminal trial and convictions of two former officials of and one food broker for the Peanut Corporation of America, or PCA. One of the defendants was the former owner and President of PCA. PCA products were tied to a salmonella outbreak that, according to the CDC, led to over 700 reported infections and nine deaths. Using epidemiological projections, the CDC estimates that more than 22,000 individuals may have been affected by salmonella. The human toll of an outbreak on this scale is heartbreaking and the actions that caused it are disturbing. The evidence the Justice Department introduced at trial showed that the officials misled PCA’s customers about what they had done to test their products and covered up the fact that some of the products had tested positive for salmonella. For example, they fabricated certificates of analysis accompanying various shipments of peanut products so that the certificates stated that the food in the packages was free of pathogens. In fact, there had been no testing of the food – or, even worse, tests had revealed that the food was contaminated. After a seven week trial, a federal jury found defendants guilty of FDCA violations, conspiracy, mail fraud, and wire fraud, as well as obstruction of justice in connection with the FDA investigation of the PCA facility. PCA’s former president was sentenced to 28 years in prison, the largest criminal sentence ever given in a food safety case. The other two defendants who were tried were sentenced to 20 years and five years in prison. Two defendants who pleaded guilty in connection with the PCA matter were sentenced to six years and three years in prison. Fortunately, the PCA case is not representative of the food industry as a whole. In the main, American consumers can have confidence that the food they eat is safe. But what the PCA case shows is that even a single bad actor can cause enormous harm. That is why the Justice Department will continue to remain vigilant in safeguarding America’s food supply and will hold accountable those in the food industry who violate the public trust. The Justice Department’s focus on food safety and our recent successful prosecutions – some of which I have mentioned here today – have accomplished a great deal. The cases that we bring help create conditions that ensure the safety of the food supply. They create incentives for good behavior and they deter misconduct. They empower those within an organization who see unsafe practices to speak out. They help to educate the industry and to support the great work that the FDA, the USDA and others are doing. 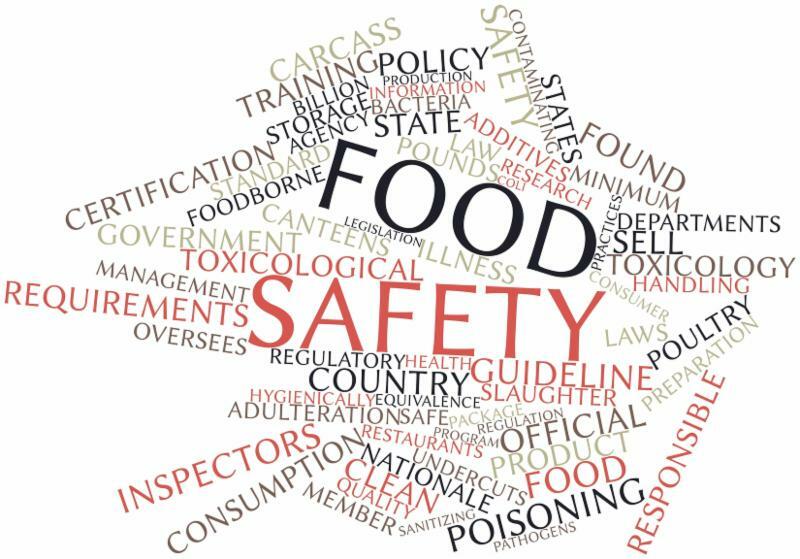 In short, aggressive enforcement of the FDCA and other food safety laws helps to ensure that making safe food is not only the best ethical and moral decision, but also the best business decision. We are committed to continuing to vigorously prosecute food safety cases. We also look forward to continuing to support your work and I hope you will let us know if there is anything that the Justice Department can do to help you protect consumers, so that Americans can have the utmost confidence in the safety of the food that they eat. This registration is for up to 4 people, if 5 or more attending please select 5+ registration. This registration is for 5 attendees or more only. Savings based on single attendee non-early bird price. Gain understanding of the GFSI schemes (SQF, BRC, FSSC2200, Global G.A.P.) from the auditor point of view. - Promote an understanding of the SQF Code. - Create a knowledge base to facilitate the successful implementation of an SQF System. - Show how a HACCP-based approach manages food safety and quality hazards in an operation. FDA intends to pursue criminal investigations against any food company executives or quality assurance (QA) managers involved in cases in which a link is made between a positive sample collected by the agency from a food facility or product and a foodborne illness. In addition, the FDA is exercising nearly limitless authority to access company records during an inspection and investigation—and in many cases doing so without a warrant. The Park Doctrine. In 1975, the Park Doctrine solidified FDA’s authority to criminally charge corporate executives and high-level managers. The Supreme Court upheld the conviction of the president of a major grocery chain who was found to be criminally liable for unsanitary conditions existing in a company distribution center, notwithstanding the argument that he had delegated the responsibility for maintaining the cleanliness of the site to his subordinates. The Supreme Court concluded that if a company ships adulterated food, the management of that company can be charged, even if they have no direct knowledge or intent. Under this standard, a food industry executive or QA manager can be sentenced to prison if he or she is aware of a circumstance or condition within his or her facility that could lead to a foodborne illness and fails to take action to correct it. If charged with this type of misdemeanor, the executive could be sentenced to up to a year in prison and a $250,000 fine for each count. On a case-by-case basis, FDA will consider the individual’s position within the company, his or her relationship to the violation, and whether in fact he or she was in a position (or had the authority) to correct the violation. The government is demonstrating that it intends to use criminal sanctions to create a deterrent and compel compliance. Peanut Corporation of America (PCA): Salmonella outbreak (2008). PCA owner Stewart Parnell was sentenced to 28 years in prison for knowingly selling peanut products contaminated with Salmonella. His brother, a peanut broker, was sentenced to 20 years, and Parnell’s QA manager was sentenced to five years. Quality Egg: Salmonella outbreak (2010). Quality Egg distributed products linked to a Salmonella outbreak that sickened more than 1,000 people. Company executives did not know that their products were sickening consumers but were nevertheless cited by FDA for failing to control Salmonella in the growing and processing environment. When the outbreak was over, FDA conducted a criminal investigation, and company executives were sentenced to three months in jail and slapped with significant fines for food safety violations. Jensen Farms: Listeria monocytogenes (2011). The company distributed cantaloupe contaminated with Listeria monocytogenes and, over a two-month period, the tainted product sickened nearly 150 people and killed more than 30. Company owners were unaware of product contamination, but federal prosecutors brought criminal charges against the company regardless, arguing that Jensen Farms failed to take appropriate steps to reduce Listeria contamination in its facility. Company owners were sentenced to five years’ probation, six months’ home detention, 100 hours of community service, and assessed individual fines of $150,000. ConAgra: Salmonella (2006­–2007). In 2014 FDA urged criminal charges be brought against ConAgra for distributing Salmonella-contaminated peanut butter, which sickened about 700 people, between 2006 and 2007. The company pled guilty to the charges and paid more than $11 million infines. Blue Bell: Listeria monocytogenes (2010–2015). In 2015, Blue Bell Creameries was linked to an outbreak in which FDA connected positive samples from those taken at retail and those taken at production facilities to seven case patients in the CDC database who carried the same strain of Listeria. Last year the agency urged the company to recall all of its products. What’s most concerning about the investigation is the fact that the first people who became sick fell ill more than five years ago (January 2010); two more illnesses were recorded in 2011, followed by one in 2012, and three in 2014. The final illness was reported January 2015. The U.S. Department of Justice (DOJ) confirmed that FDA and the DOJ are making criminal sanctions “a priority” when companies “fail to live up to their obligations to protect the safety of the food that all of us eat.” The DOJ, working with FDA, has served federal grand jury subpoenas to Blue Bell, and is likely scanning food company records and executive emails to justify any criminal charges. If criminal charges are indeed brought against Blue Bell, FDA will likely argue that the company was periodically finding LM in its facilities over the past five years and failed to take sufficient action to correct the condition, which (as proven by the seven matching cases in PulseNet ), resulted in human illness. Although this seems like an extreme approach, given the ubiquitous nature of LM, it is the approach the agency is aggressively pursuing. Chipotle Mexican Grill: Norovirus (2015). For several months last year, Chipotle was unable to contain and manage numerous foodborne illness outbreaks. In a public filing the national restaurant chain confirmed that it received a federal grand jury subpoena from the DOJ in connection with a norovirus outbreak that occurred at a location in which more than 200 customers became ill. According to reports, Chipotle executives became aware that numerous employees had reported being sick in August 2015, yet they waited a few days before informing the local health department of the illnesses and closing the restaurant. In turn, it appears that FDA and the DOJ initiated a criminal investigation and served the grand jury subpoenas in order to gain access to corporate emails and determine whether company executives waited “too long” after learning about the illnesses to take action. On January 28, officials from Chipotle confirmed that the restaurant chain was served with a subpoena that broadened the scope of the initial criminal investigation by the U.S. Attorney’s office for the Central District of California. This subpoena requires Chipotle to produce documents and information related to company-wide food safety matters dating back to January 1, 2013, and supersedes the subpoena served in December 2015 that was limited to a restaurant in Simi Valley, California. Although FDA is trying to uncover how the recent outbreaks occurred, the agency is also engaging in a broader “fishing expedition” to determine whether there is further justification to bring criminal sanctions as a result of any of the company’s broader food safety conduct. The DOJ, in cooperation with FDA, is currently pursuing criminal investigations against many other companies connected to other reported illnesses. As these are ongoing investigations, the underlying facts cannot be disclosed publicly. However, the most important lesson to be learned is that food companies must be prepared to better control pathogens in their environment in order to protect themselves from criminal prosecutions. My subsequent column will discuss these strategies.